There are seven Disneyland Paris hotels owned by Euro Disney France (the corporate parent that operates Disneyland Paris) in Marne-la-Vallee, France. Each has a different theme and offer comfortable accommodations near the park. Disney® Village, an entertainment complex, is just outside the park gates. I’ve organized this list by distance to the Parks. The nearest Eurodisney hotel is walking distance, the furthest only a 15 minute drive away! Be on the look out for Disneyland Paris breaks that include hotel and park entry, this will save money. Short free shuttle ride to Disney Village and the Disney Park. 4 star deluxe hotel designed by famous architect Michel Graves in the art deco style to look and feel like New York City. Amenities include breakfast with Mickey and dine with Goofy, outdoor trampoline for kids, indoor and outdoor swimming pool. Sauna, steam, whirlpool and fitness center. In season outdoor tennis and ice skating. 5 minute free shuttle bus ride to Disney Parks and Disney Village. 2 stars. Designed to look like a hotel in the old West complete with a old west style village. Amenities include “Fort Apache” outdoor play area with teepees for kids, pony rides and “Mechanical Buffalos”, Meet'n'Greet with Disney characters, free continental breakfast. 5 minute free shuttle bus ride to the Parks. 2 stars. In the design of Santa Fe New Mexico. Amenities: Outdoor ice skating at Disney hotel New York nearby, indoor and outdoor play area for kids, Meet'n'Greet with Disney characters, free parking. 10 minute ride by free shuttle bus to the Parks and Village. 3 stars, designed to look like a New England grand hotel of the 1870s. Amenities include a “Meet N Greet” for kids with Disney characters and other kids activities. An indoor and outdoor swimming pool, health club and fitness center. Free continental breakfast. This hotel Disneyland Paris is 15 minutes from Disney Parks. No shuttle bus, you need to have a car to drive to the Parks. 2 stars. Design theme is Davy Crockett. Rustic cabins set in 140 acres of forest. If you’re looking for a cheap holiday to Disneyland Paris this is the least expensive and great for families. People love this place! Amenities include kitchenettes in each cabin, indoor pool, game room, restaurant. For a cheap holiday to Disneyland Paris stay at one of our suggested chain hotels and motels in France. You might want to check out a Eurodisney hotel in partnership with Disney. They are well reviewed and a bit less expensive. 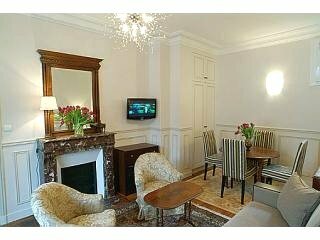 Paris boutique hotels and Paris budget hotels are only 45 minutes by train or car to Euro disney France. Euro Disney France is one of the most visited tourist destinations in France. Check out the top tourist attractions in France.